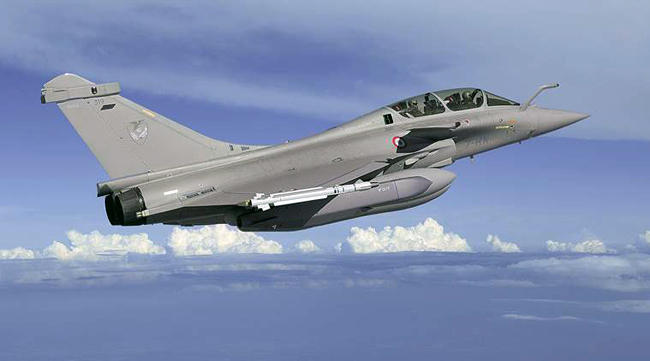 New Delhi, Feb 11: The Congress on Monday said the Rafale deal is "unravelling" faster than the government thought, with issues such as "parallel negotiations" by the PMO and changes in the standard defence procurement procedure coming to the fore. The opposition party's attack on the government came after a report in The Hindu newspaper claimed that the deal between India and France involved "major and unprecedented" concessions from the Indian government, with critical provisions for anti-corruption penalties and making payments through an escrow account dropped days before the signing of the inter-governmental agreement (IGA). Senior Congress leader and former finance minister P Chidambaram said the Rafale deal is unravelling faster than the government thought. "First, it was the loading of the India Specific Enhancement costs on 36 aircraft instead of 126 aircraft giving a bonanza to Dassault. Then it was the revelation that 'parallel negotiations' were being carried on by PMO undermining the efforts of the Indian Negotiating Team," he said in a series of tweets. Now it is revealed that crucial changes were made to the clauses in the standard Defence Procurement Procedure, he said. "No sovereign guarantee, no bank guarantee, no escrow account, yet a huge amount was paid as advance," Chidambaram alleged. Lashing out at the Modi government, he said, "No penalty clause for undue influence, no clause against agency commission, no clause for access to suppliers' accounts, and Dassault goes laughing all the way to the bank." Citing the media report, Congress' chief spokesperson Randeep Surjewala said, "Modiji, after waiving off sovereign guarantee in Rafale deal, you also waived off the 'anti-corruption measure' of a 'safeguard Escrow A/c'! What is the corruption you wanted to hide?" The whole country is abuzz that "chowkidar chor hai", he said. The Congress has been alleging irregularities in the Rafale deal but the government has vehemently rejected all allegations.